If you have a sibling or siblings, you’d know what it means to share a love-hate relationship with them, because one is more loved and the other, well not exactly hated, but he or she is a little less popular than you are. The Pakistani industry has many famous siblings thriving in the same field, but somehow, one of them has helped the other become gain fame. So let’s find out who drove who to their stardom! 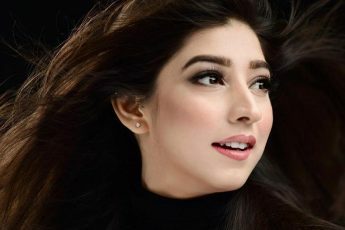 Even though Urwa started out as a VJ before Mawra, but it was her little sister who helped her big sister jet set in to limelight after she signed her first Bollywood movie. Danyal Zafar’s actual claim to fame is his brother, Ali Zafar. Period! Shaista Lodhi was reigning the morning shows and Sahir Lodhi is still the king of controversy, if not king Khan! So this duo totally balances out each other! It runs in the family, so when Feroze came under the limelight, we knew he was backed by a sister who’s been a part of the industry for decades! Yes they’re the Sethi’s but Ali has part to play in his sister, Mira’s popularity. He was already making his mark as a singer, then he went on to play on Coke Studio and then there was Mira. Bushra Ansari is a house-hold name and had already made it from being a child star to a one of the leading veterans in the TV industry. Even though her sister Asma Abbas could not garner all that limelight like her sister, but she’s very much out there. All thanks to Bushra Ansari. Oh! The pretty Sajal Aly has reached colossal success which her younger sibling, Saboor Aly could not. And had it not been because of Sajal, we probably would not have known Saboor. He was known by his famous sister, always by her side, but he couldn’t garner all that fame in her presence as much as he did after playing her songs posthumously.